Telecom Tylenol Episode 3 – How Much Bandwidth Do I Need? Joe Jonovic talks about avoiding the headache of committing to too much bandwidth. He describes how SOLUS takes a conservative approach to buying bandwidth for your business. Telecom Tylenol is a video blog produced by Joe Jonovic of SOLUS Network Solutions. Every episode provides valuable advice to businesses for the purpose of avoiding or relieving telecom/technology headaches. Joe Jonovic talks about avoiding the headache of committing to too much bandwidth. He describes how SOLUS takes a conservative approach to buying bandwidth for your business. Telecom Tylenol is a video blog produced by Joe Jonovic of SOLUS Network Solutions. Every episode provides valuable advice to businesses for the purpose of avoiding or relieving telecom/technology headaches. So, Joe Jonovic here, Telecom Tylenol. I just got a phone call from a friend of mine, Ray. And his headache is, Joe, you want me to sign a three-year contract for fiber internet at my office down in Bakersfield, but I think I only got one year left on the lease. So, what do we do? I said, Ray, you got to go pull that contract or that lease and make sure how much time is left on it, so we’re dealing with facts. Second, if our only option is to sign a three-year fiber contract that we know in a year when you got to move that you got to get SOLUS involved in the research on appropriate buildings to move into so that we can make sure that we find one that’s got low cost or no cost to move. I did have a client here in Reno that signed a contract with a direct rep and then moved into a new building a year later and had to write a check for $23,500 to move that circuit that he had contracted. So, you know that’s a $23,500 massive migraine. We don’t want you to have those. So, let’s deal with facts make sure you research what the term – the remaining term is on your lease and let’s make informed decisions and work with SOLUS and we’ll help you eliminate those kind of big migraine headaches. 775-473-9445. Give us a call, we’d be happy to hear from you. Thanks. Hi. Joe Jonovic here with SOLUS Network Solutions, your trusted technology adviser. And today, we’re kicking off Telecom Tylenol, a video blog to help IT professionals minimize the headaches that are inherent in procuring telecom services. And our hope and my goal personally is to give you some little tidbits and some nuggets on a somewhat regular basis and help you avoid getting a telecom migraine. So, we’ll be giving you some tips and tricks and talking a little bit about the SOLUS value proposition and how we help professionals by simplifying their life. So, Joe Jonovic, Telecom Tylenol. Hope you find this valuable. Thank you. Hey, Joe Jonivic here with another edition of Telecom Tylenol. Today’s headache is auto renew clauses. You know when you sign a two or three-year contract for services, sometimes the direct contracts will have an auto renew clause. And why is this problematic? Well, you always want to be in a position to have me research current market pricing and get you the best deal and not re-contract for services at a rate from three or four years ago because the market is always declining. And so, here’s the solution to your headache to make sure it doesn’t turn into a migraine. Call the carriers now, go through all your contracts, and you can do it or you can have me and my team do it. But, call them and tell them that you want to make sure that there’s not any auto renew clauses and you want to make sure that your contracts go month to month when they expire. That will help – that will put us in a position to go out and shop for you and get you the best deal. We’re here to help. SOLUS Network Solutions your telecom Tylenol. SD-WAN is the idea of bringing SDN-type technology to the wide area network. The confluence of applications being hosted in the cloud and end users accessing them via mobile devices is accelerating advancements in wide area networking technologies. 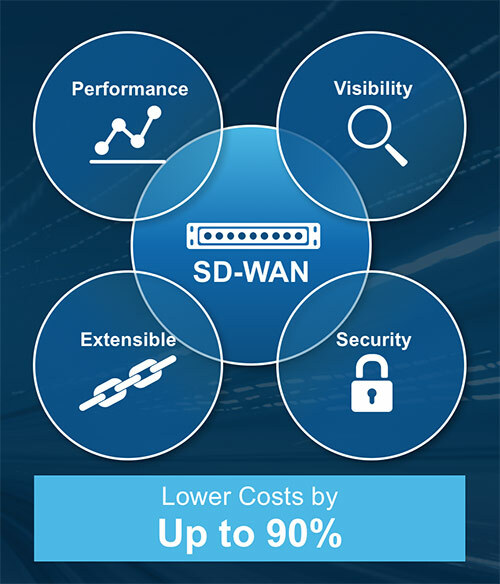 A recent IDC report predicts those factors will drive what was a relatively nascent software defined WAN (SD-WAN) industry, worth a mere $225 million last year, to grow at a more than 90% compound annual growth rate for the next five years to become a $6 billion industry by 2020. “SD-WAN provides the complementary capstone for hybrid cloud application delivery,” Mehra says. A survey of enterprise communications professionals found that 30% plan to migrate to SD-WAN within two years.